Mum had a great sense of fun and was very humorous. 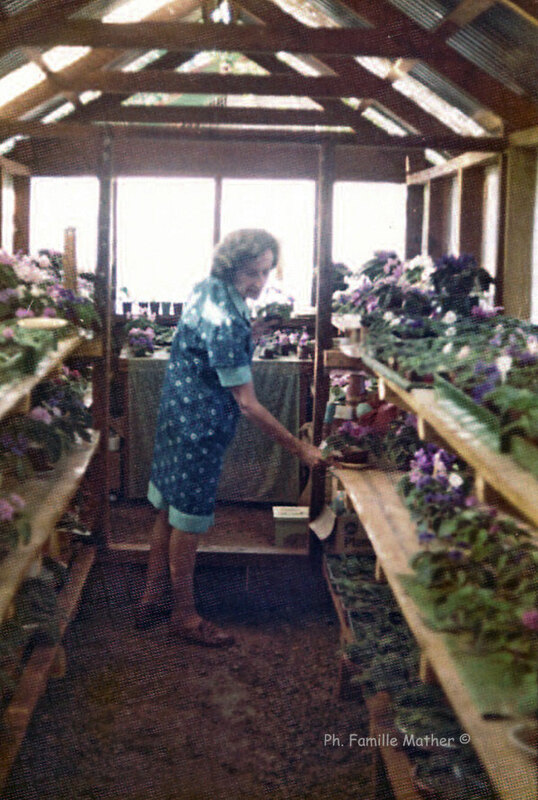 I have so many memories of her associated with African Violets including exhibiting at many horticultural shows. I do not remember an occasion when she did not win a first prize for her violets. Amongst the many awards given to her for her exhibits, were “Most Meritorious Exhibit on the Show”, “Judges Special Cultural Commendation” and she also won a gold medal. In one way or another, as her children, we were all involved in Mum's love of violets. When she seemed to have disappeared, we needed only go into the garden and shout “Mum?” and hear her familiar voice in the distance “yes darling I am in the greenhouse”. A major challenge, insects in the greenhouse. 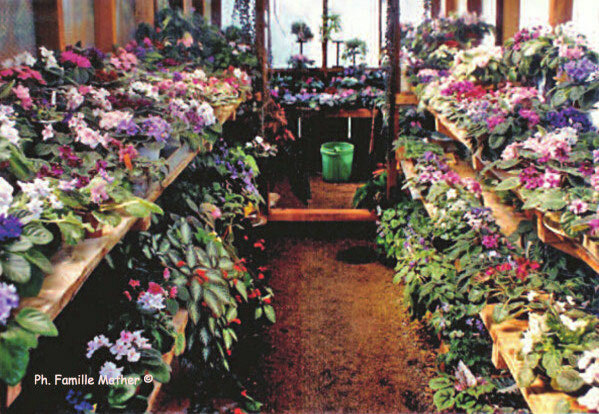 When it was show time, we were packing violets into cars with extreme care, and bringing them home with extreme care and many trophies. Charles our brother, the youngest of the family, also played his part. When aged nine he heard Mum complaining about insects (known as ‘dudus’ in Swahili) in her greenhouse, he was ready to assist. The next day he struck a deal with Mum, for every ‘dudu’ he caught in her greenhouse she would pay him 1 cent. Charles disappeared in the direction of her greenhouse. Some hours later, he reappeared with his “catch of the day”, a tin full of a variety of ‘dudus’. Mum looked into the tin and said “Charles, you never caught all those in my greenhouse” to which his reply was “I know but what WE don't know is if they were in your greenhouse yesterday OR perhaps if they could be in there tomorrow”. Mum and Charles revisited the negotiation table taking all factors into account. Mum's love of African violets was a never ending journey to preserve this wonderful little plant that she loved so much. She had always been told that she had a fifth child, and I believe the name of that child to be ‘saintpaulia’.